Sculptra® is an injectable that helps gradually replace lost collagen for results that can last more than two years. Sculptra® is a new type of facial injectable made from poly-L-lactic-acid that helps replace lost collagen. It is a biocompatible, biodegradable synthetic material used by physicians for decades. It helps correct shallow to deep facial wrinkles and folds that appear with aging by replacing lost collagen. Sculptra is different because it gradually and subtly corrects these facial wrinkles over time. This can provide a refined and youthful looking appearance that can last up to TWO years. Collagen is a key structural component of the skin that keeps the skin youthful looking and smooth. As you age your body’s collagen production decreases, and you will likely begin to see wrinkles. Sculptra works within the deep dermis where it helps to replace lost collagen. This reinforced collagen structure provides a foundation that gradually restores the look of fullness that has depleted over time. Sculptra works over time. That’s why it is important to keep going to all of your treatment sessions as recommended by Dr. Taylor at your initial consultation. Following a simple aftercare routine that includes short facial massages will also help you get the most out of Sculptra. 5-5-5 is recommended: massaging 5 minutes, 5 times per day, 5 days total. Each session builds on the last to produce a more natural-looking appearance that doesn’t look like you’ve had work done. Sculptra is injected into the skin. The number of injections per treatment session will vary depending upon the degree of correction you and Dr. Taylor decide is right for you. A topical anesthetic will be applied prior to treatment. You may experience injection site discomfort in the treatment process. You should not receive treatment if you have an active infection or skin inflammation near the planned injection sites. Immediately after each treatment session, you may experience swelling which can give you a preview of how you may look once your facial wrinkles and folds have been smoothed. This swelling typically subsides within a few days, and the wrinkles will temporarily reappear as the gradual process of collagen replacement continues. You should begin to see progressively visible results within the first few weeks after each treatment session. Remember, in order to get the most out of Sculptra; you should complete the full course of treatment sessions as recommended to you by Dr. Taylor in your initial consultation. Side effects of Sculptra may include injection site pain, redness, bruising, bleeding, itching, swelling. Other side effects may include the development of NON-VISIBLE, small bumps under the skin that are sometimes noticeable when pressing on the treated area. 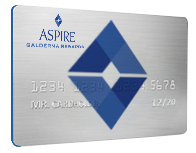 Dr. Taylor offers the Aspire® Rewards Program, a program that allows you to earn points and save on future treatments or purchases with all participating products. What special promotions are available and how do they work? You can sign up for email notifications and Dr. Taylor will alert you when special promotions may occur. What are the participating products within Aspire? How do I access my Aspire® account? Once registered, there are many ways you can access your account.